The Best Spanish School in Panama : ILERI Panama – Study Spanish, speak with confidence, discover a new language and a new culture with us. The goal of this school is the teaching of the language through the life and culture of the host country. ILERI was founded in 1994 in Panama City, Panama. All of our teachers are native speakers and experienced in teaching Spanish as a second language. In our Spanish school we offer students the flexibility to customize programs to meet specific needs. ILERI Panama has agreements with Brookhaven College to assign transfer academic credits for those who travel without a professor. ILERI is a small, friendly school located in Altos de Betania, 20 minutes from downtown and only 5 minutes away from the most accessible and only seasonal dried forest in Latin America – Parque Natural Metropolitano. We want our students to live and feel our culture, love our language and practice it with confidence. We teach the Spanish, you learn it and we live it together". Why ILERI is the best option in PANAMÁ? As you search for the best program for you, allow us to share our over 20 years of experience in teaching Spanish as a second language by suggesting that you consider each of the points below during the selection process. Academic Coordinator and teachers: All of our teachers are native speakers and experienced in teaching Spanish as a second language. The teachers are Panamanian, qualified with university degrees and all have experience in teaching Spanish as a second language. In addition, all teachers receive further training from our Academic Director. Marianela Valverde our Director and Academic Coordinator has a Master´s degree in Spanish as a second language (ELE) and has been ELE teacher over 23 years. Personalized attention: Students find a welcoming and comfortable atmosphere both in and outside class; in-class the average group is only 2-3 students (4 maximum) permitting individualized attention through increased student-teacher interaction and allowing students to quickly reach linguistic goals. Our school is very relaxed and welcoming to have a Spanish immersion program-a home from home. 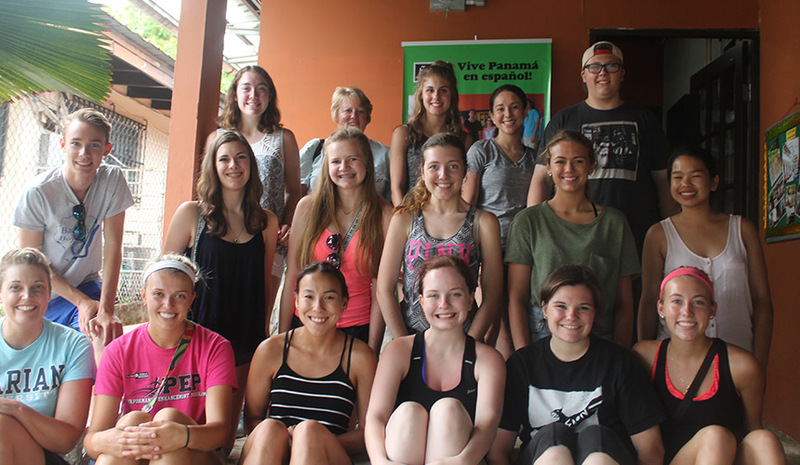 Our immersion programs provide students with the opportunity to experience the language and culture of Panama first-hand. Before your arrival to Panama, all reservation details are processed by the staff of the IPS Admissions Department. Monday morning, first day orientation to Panama and the area where school is located. 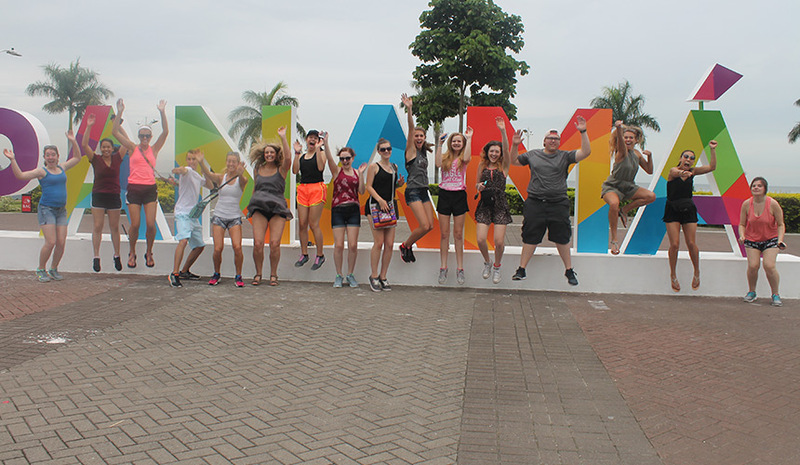 Student Travel Coordinators: Knowledgeable staff available to assist in advising on travels arrangements and information about the best option to travel in Panama. Bilingual office staff assists at all levels. Wireless internet service, Wi-Fi and free coffee. Free tutoring, high speed internet service and free cultural activities. Available at Casa Esperanza and Parque Natural Metropolitano. Other options volunteer opportunities also available. Free airport pick-up for students living with home stay or at the Hostel or Hotel; an emergency assistance number 24/7 (6560-8092). In our Spanish school we offer students the flexibility to customize programs to meet specific needs. Students can design their own Spanish program. Students can arrange a combination of morning group classes complemented by afternoon private lessons, facilitating the study of materials directed to individual needs. In our Spanish immersion school in Panama we offer Spanish lessons in the morning, afternoon and evening, depending on the type of program selected and the students’ needs. Muchas gracias a toda la gente de ILERI Panamá que me encantan mucho, gracias por todo y espero regresar rápidamente. ¡Muchas gracias por todos! Me gusta mucho la programa de cultura y viajes, es mas disfrutable! Deseo regresar por mas lecciones en español. ¡Muchas gracias a ILERI! A mi me gustaría regresar a Panamá para aprender mas español. Gracias! Me gusta estudiar español en ILERI Panamá. Cuando yo llegué a Panamá yo no se nada de español. Ahora yo aprendo!. ILERI es muy buena escuela. Es difícil encontrar palabras para expresar mi tiempo aquí en Panamá. Gracias a mi maestra Rosi por su trabajo y, mas por su paciencia. Gracias a Marianela y a la escuela ILERI por la oportunidad de estudiar en Panamá. Marianela, gracias por explicar las reglas de gramática tan clara y por la práctica oral tan interesante. Muchas gracias por su hospitalidad. Las voy a extrañar mucho cuando este en Guadalupe. Besos a mi profesora la señora Valverde y a Raquel. Thank you for a wonderful time!. Muchas gracias. Si voy a regresar a Panamá, voy a continuar estudiando aquí. Muchas gracias por todo. Aprendí mucho, gracias a Raquel y a Rosy. Rosy me dio una lección para siempre_ la importancia de auto confianza. !Muchas gracias! Me gusta la escuela y yo aprendí mucho. Raquel es la mejor maestra porque ella habla con nosotros sobre muchas cosas de vida. Yo quiero regresar en el futuro! Muchas gracias por las tres semanas. Yo he aprendido mucho, las maestras son muy buenas. ¡Muchas gracias otra vez! Me gustaba hablar sobre la cultura de Panamá porque yo aprendí mucho en las tres semanas. ¡Muchas gracias por todo! yo quiero visitar en el futuro, ¡muchas gracias por las tres semanas! ILERI! ¡Muchisimas gracias por todo! Los quiero. Espero que nos veamos de nuevo un día. Cuando visiten a Asia (Taiwan) o un lugar donde esté. Tienen una casa ya. Con gran placer! Muchas gracias por estas 3 semanas. He aprendido mucho y ahora muchas cosas ya las tengo mas claras que antes. Espero que el examen de DELE C2 me salga bien. Los voy a informar cuando tengo los resultados, ¡Muchas gracias! Raquel is a great teacher. I have gone up two levels since I began classes with ILERI. She has helped me a lot with the subjuntive and with general fluency and confidence. She particularly helps when I have a presentation to give or a meeting to chair. She is a great teacher. 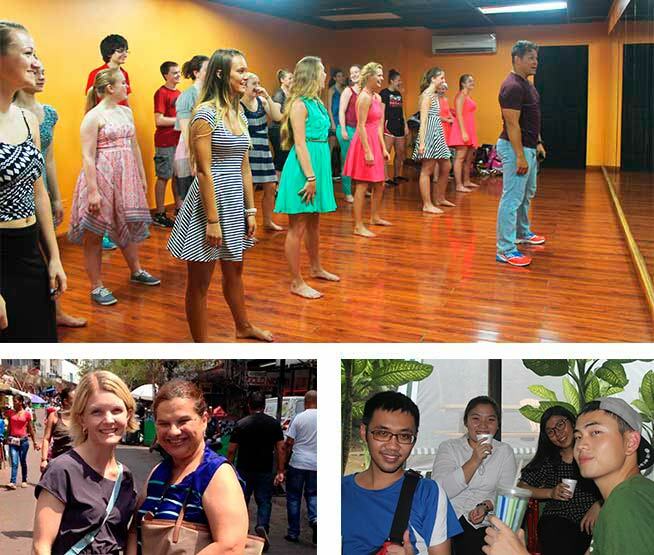 In the language immersion program all homestay families are carefully selected. The families working with us at ILERI all come recommended. We choose families close to the school so it is possible for students to walk to school. 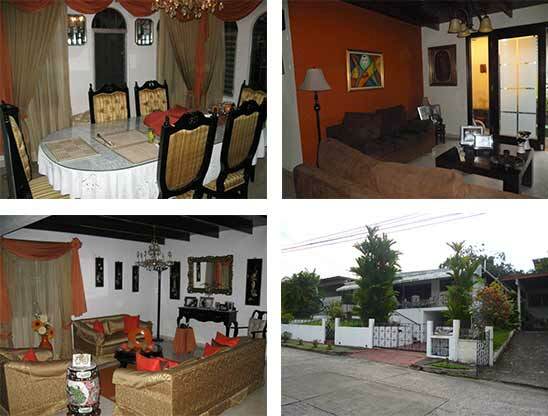 Students staying in homestay will be provided with a private room, breakfast, and dinner and also laundry service. 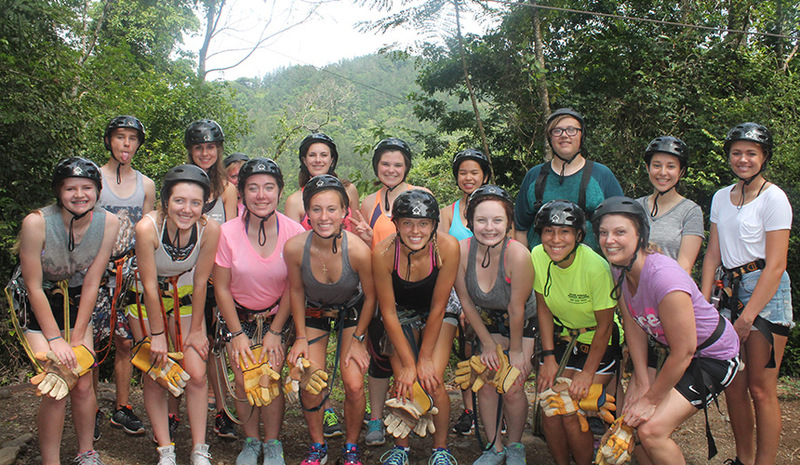 The family homestay option is intended for those students who want to maximize their learning—not only in terms of Spanish, but also Panamanian culture—by sharing in the daily life of a local family. 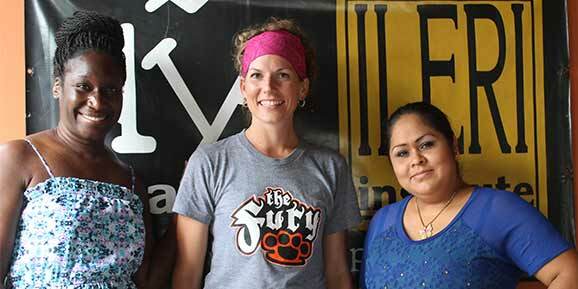 The homestay families actively help students in the learning of the language and provide a unique opportunity to interact and experience the culture. You will learn Spanish in Panama. The students need to send any particular requests they have for their homestay family. For our families it is not a problem to have students who are vegetarian or smokers. Our families are matched to the personality and taste of each of our students and this help you learn Spanish in Panama. Our families are one of the most important elements in successfully learning the language.